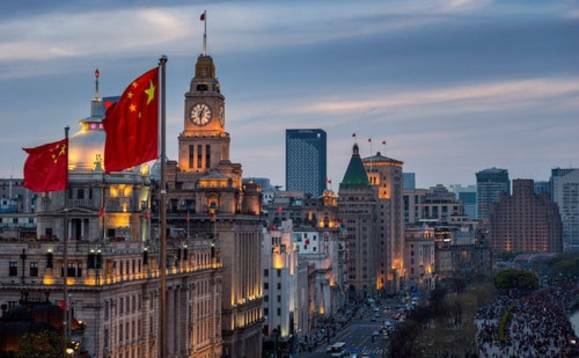 The recent spate of RMB weakness does not imply that the turmoil experienced in 2015 will be repeated again, according to Renee Chen, senior economist and investment strategist, HSBC Global Asset Management. The pace of RMB depreciation over the past couple of months has been remarkable, dropping faster than it did in 2015-16. However, in our opinion, this recent spate of RMB weakness does not imply that the turmoil experienced back then will be repeated again. •	Signs of slowing growth momentum in China. Moreover, the current RMB weakness comes after a nearly year long appreciation in the currency. To illustrate, the CNY CFETS index fell by slightly over 5% from its June high to 23 August, after rising by nearly 7% in one year before the sharp fall. What is the outlook for RMB in the medium term? Sharp RMB devaluation or sale of US Treasury holdings as retaliatory tools remain off the table, given the potential adverse consequences to the Chinese economy. We expect monetary policy easing to increasingly focus on credit transmission to ensure reasonable credit growth, but not aggressive liquidity injection, which had recently pushed short-term market rates downwards and driven bond yields lower. Just the right amount of monetary policy easing, along with a more supportive fiscal policy in 2H18, should limit the downside on China rates and prevent the rate differentials from narrowing too quickly. Signs of stabilising Chinese economic momentum would also support investor sentiment. After tolerating sharp RMB depreciation in June-July, the PBoC recently stepped in to manage the risk of an adverse feedback loop from investors or corporate “herd behaviour” (echoing the 2015-16 experience). We think recent moves help contain the risk of triggering market panic and large-scale capital outflows, which would have added an extra layer of complexity in the bilateral trade negotiations. However, we do not expect aggressive FX intervention, given the long-term goal of allowing market forces (demand & supply) to play a major role in setting the RMB exchange rates and eventually moving toward a “clean/free float” FX regime as China continues to open up its economy and liberalise its capital markets in the longer term. Greater RMB flexibility in an uncertain external environment will allow monetary policy to focus more on domestic economic trends and policy agenda.